632 Beal Parkway Nw , #a And B, Fort Walton Beach, MLS# 719323: ERA American Real Estate Buy A Florida Vacation Home, Schedule a Showing, Call Brandon Jordan of ERA American Real Estate Today! Mixed-use property that includes 2 flex spaces. 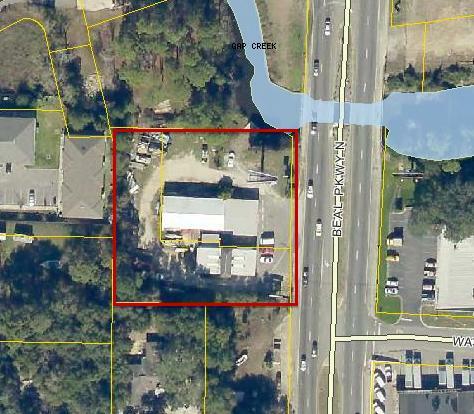 North building includes approximately 1800 sqft of retail frontage and 2200sqft of warehouse. South building includes approximately 300sqft of office space as well as 2200sqft of warehouse space. Rights to billboard included in sale; current lease fee received is $4800 per year with bi-annual payments. City will install median when finished with road work with access for vehicles traveling north.Water access to Cinco Bayou through low bridge. This information was last updated on 4/17/2019 10:08:28 PM.